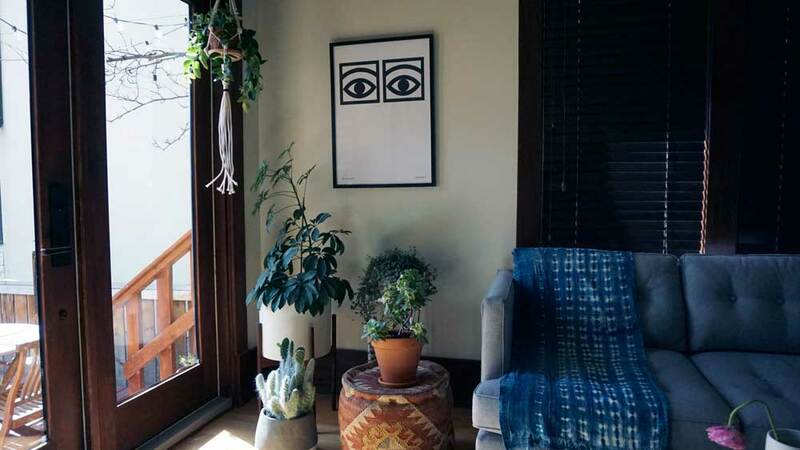 With all of the original century-old charm combined with her flair for art and design, Fieldstudy Shop owner Sarah Knorr’s Marda Loop home is cozy and eclectic. 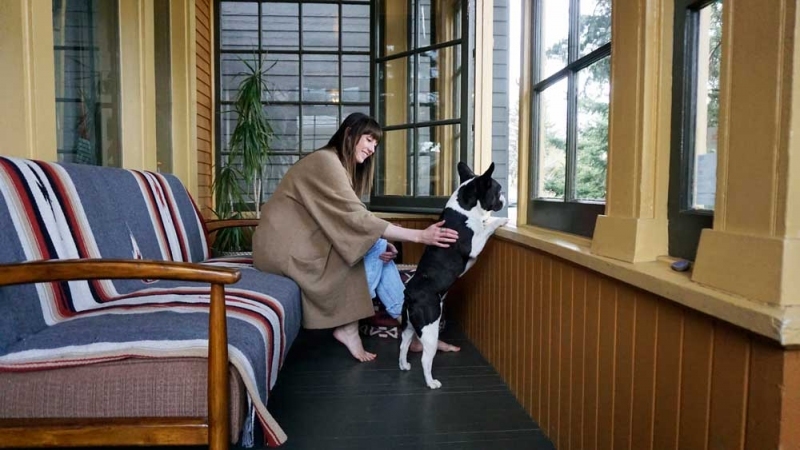 Sarah Knorr and Gus take in the views from the enclosed porch. This is one of Knorr's favourite places to spend time in the summer. 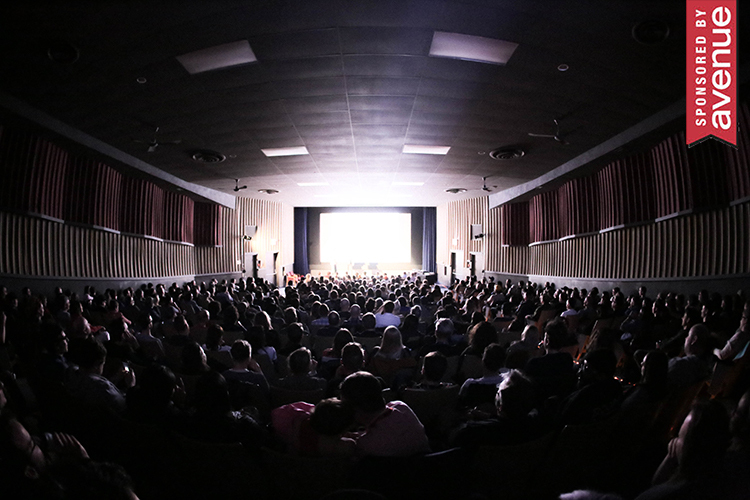 Photograph by Kait Kucy. 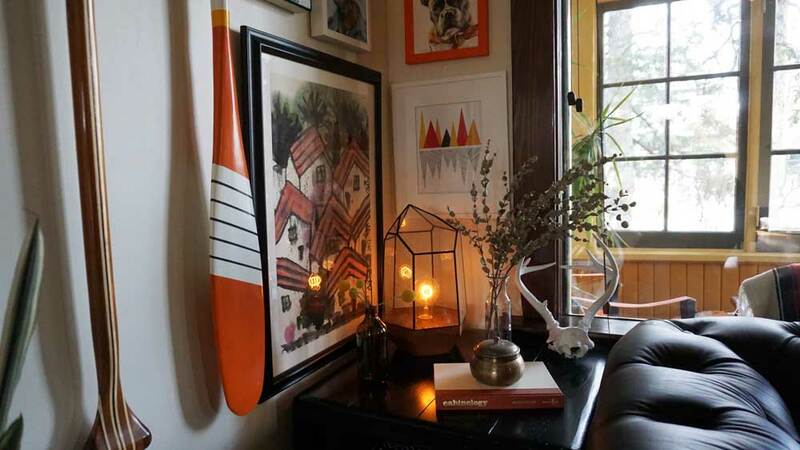 There is something undeniably magical about Fieldstudy Shop owner Sarah Knorr’s taste in art and decor. 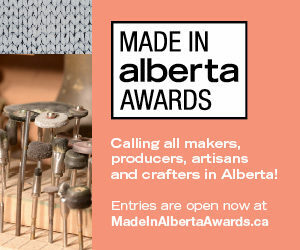 Her dedication to finding interesting and beautiful handmade items is apparent through her curated shop, but her personal style comes out even more when peeking into her century old heritage home in Marda Loop. 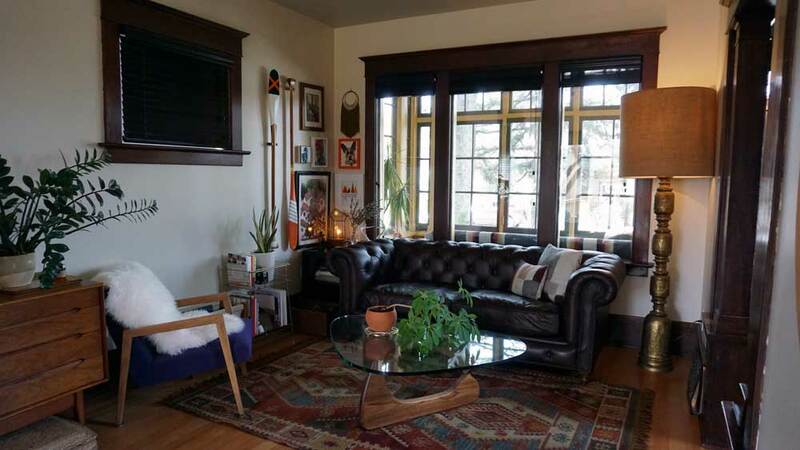 Sharing the 1910 home with her husband Hayden and their French bulldog Gus, the couple has taken their love of travel and infused it into every room. 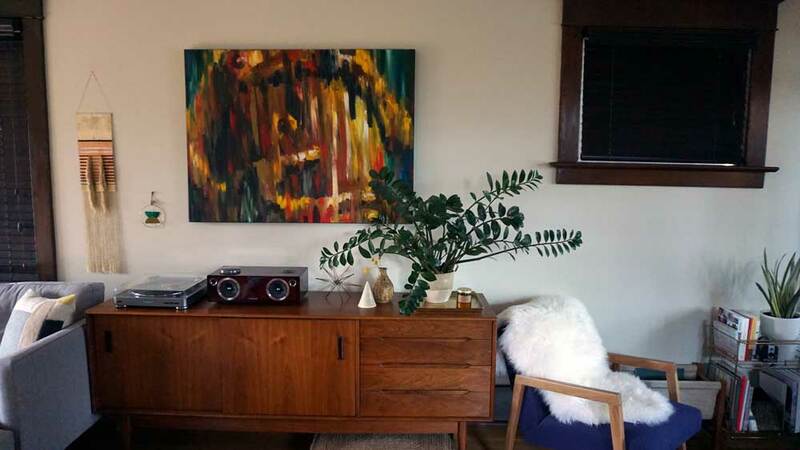 This corner in the living room features some of the couple’s favourite pieces of art that they’ve collected together over the years. 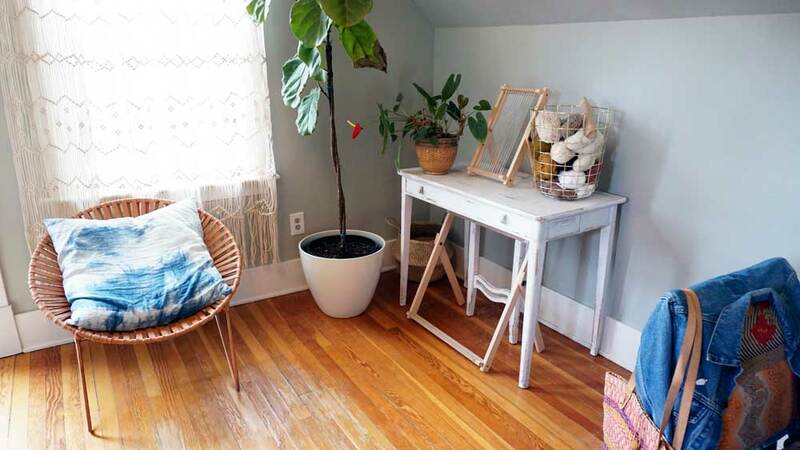 A cozy corner in the living room, leading out to the spacious outdoor deck and backyard. The room gets a lot of natural light, which is perfect for Knorr’s obsession with plants. 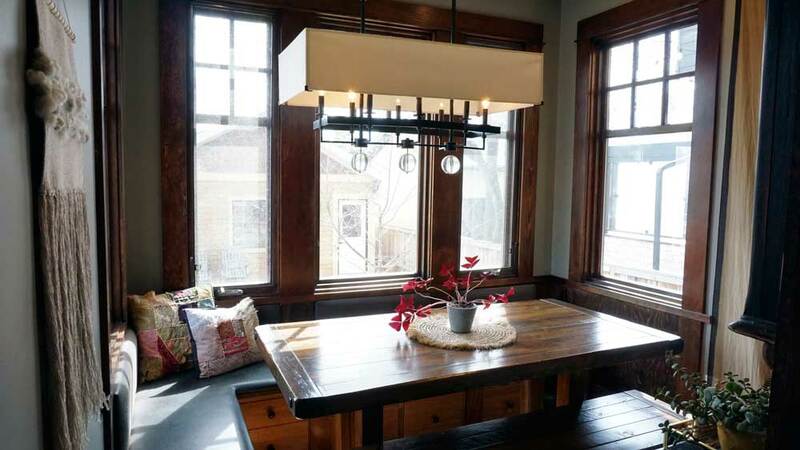 The dining nook is a cozy room tucked off the kitchen with calming views of the backyard trees. The couple loves music and spends most weekends hunting for new records to add to their record collection. This spot is well-loved when they sit back to listen to their new purchases over cocktails. The oversized lamp next to the leather sofa wasn’t exactly what Knorr expected, but it is one of her favourite decor finds. 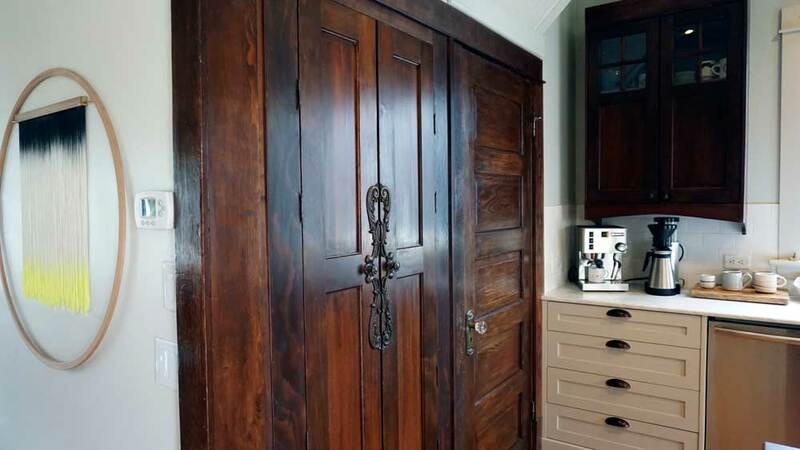 One of the home’s original built-in’s, this pantry cupboard is a statement piece in the otherwise neutral kitchen. The original character of the home is something that Knorr and her husband are adamant about keeping intact. Around the corner is the wall hanging that was a gift from Knorr’s husband and is now her most treasured item. The couple believes that investing in art is a worthwhile activity and seek out new artists and artisans. 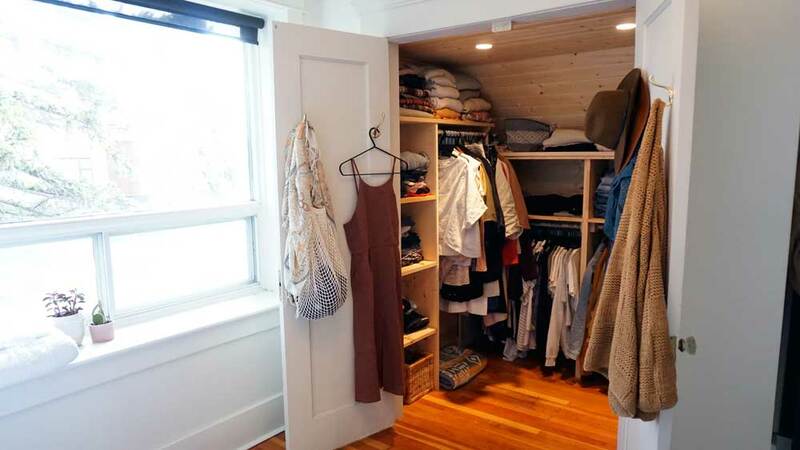 A big supporter of sustainably and ethically made clothing, Knorr is constantly curating her wardrobe and seeking out new brands to support. 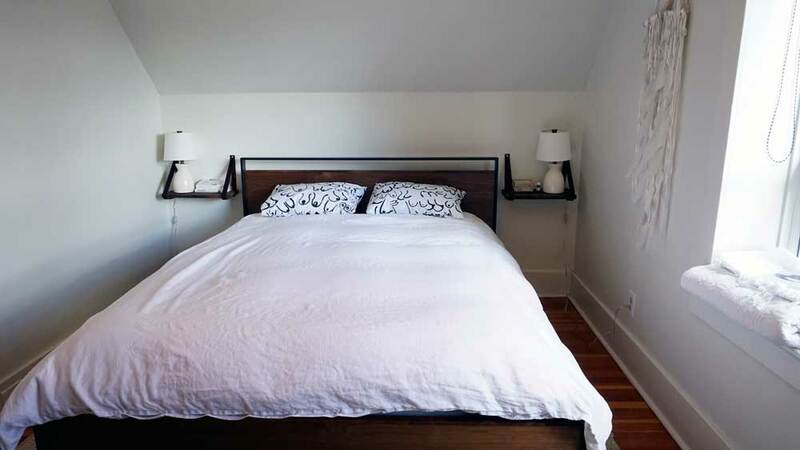 The couple keeps their master bedroom simple with a few cheeky touches like the Gravel and Gold pillowcases that are available from Fieldstudy. 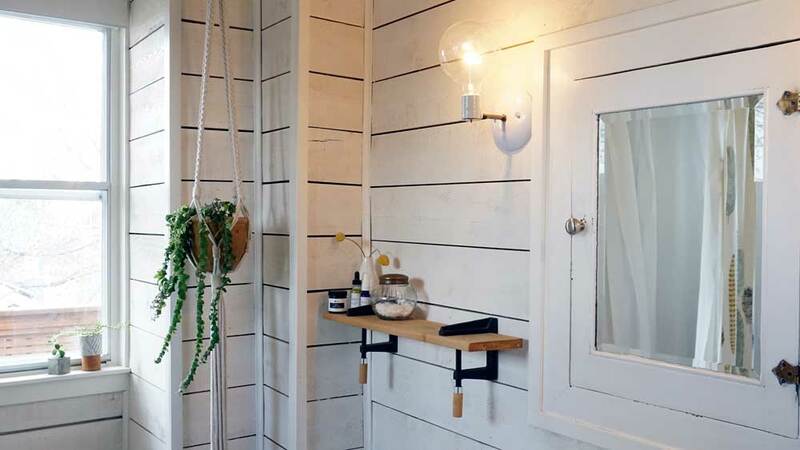 The white-washed shiplap walls of the bathroom give the room a ton of character while also making it feel spacious and airy. Knorr has added small ceramics that she has found throughout her travels. 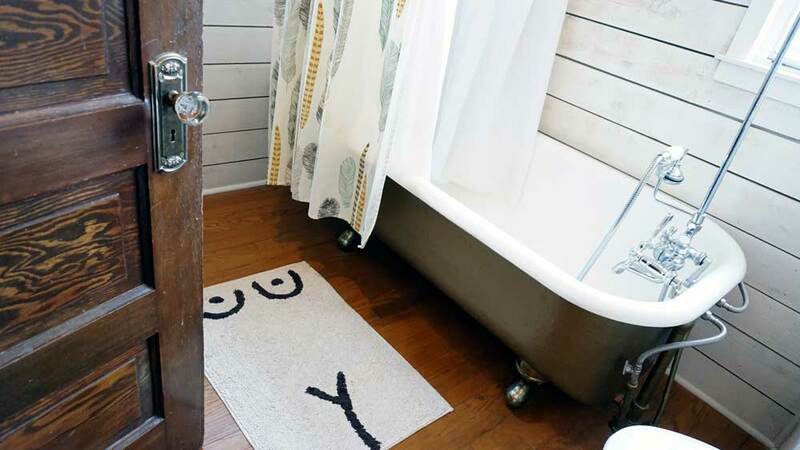 The bathroom would not be complete without the fabulous clawfoot tub and cheeky rug that is available through Fieldstudy. Knorr and Gus on the upstairs patio. The studio room is where Knorr spends most of her time while not at the shop. She enjoys her hobbies like weaving or reading and enjoying the natural light that comes in through the back deck windows.